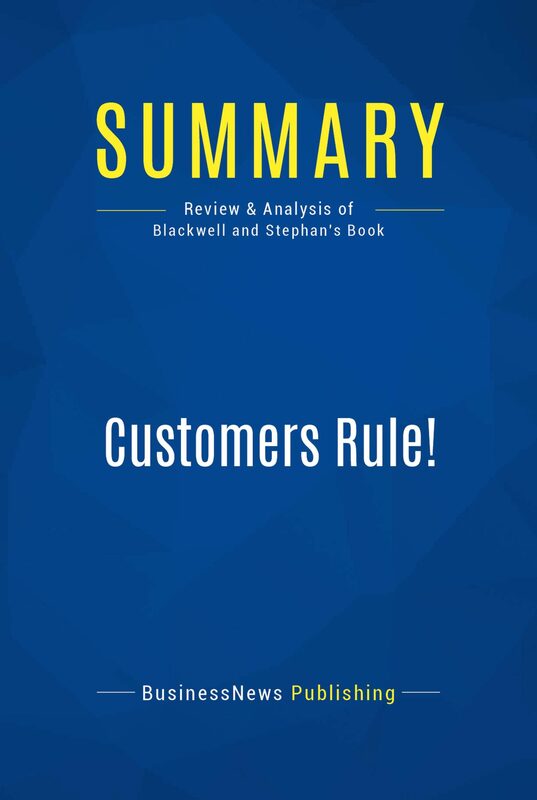 The must-read summary of Roger Blackwell and Kristina Stephan's book: "Customers Rule! : Why the e-Commerce Honeymoon is Over and Where Winning Businesses Go From Here.This complete summary of the ideas from Roger Blackwell and Kristina Stephan's book "Customers Rule!" shows how the initial assumption that e-commerce would completely replace traditional business has come to an end - it is now clear that business success will henceforth depend on a "blended" strategy. In their book, the authors explain how future successful companies will be those that combine the best features of conventional commerce with the new ways of reaching customers made possible by the internet. By reading this summary, you will learn how to strike the right balance between the two and how to make changes to your long term strategy in order to find the best technology channels to use for your business.Added-value of this summary:• Save time• Understand key concepts• Expand your business knowledgeTo learn more, read "Customers Rule!" and discover the key to ensuring business success in the e-commerce era.